Get LoyalCoin (LYL) Now ! LoyalCoin is the next generation of customer loyalty points, one that can be used in more ways than what was previously thought possible. The LoyalCoin virtual currency is the asset that unleashes the full potential of customer loyalty. But just like any asset or object of value that needs the right technology to be used to its full potential, LoyalCoin is best carried on a platform that gives it the power to show all its features. Main goal is use blockchain technology to open loyalty ecosystem where the consumer decides where and how he likes to redeem the rewards they’ve earned. Appsolutely, the blockchain omnichannel loyalty solution, today unveiled its LoyalPlatform, LoyalCoin (LYL) and LoyalWallet, to unify the complex and disconnected $1.68 billion loyalty industry and ensure that the value of “rewards” is converted into commerce. The platform is the foundation for a new “Loyalty Economy,” a next generation ecosystem in which consumers can use a single currency (LYL) to redeem and exchange benefits from any participating brand, anytime and anywhere. Appsolutely’s technology provides an unprecedented opportunity for brands to engage and build stronger relationships with consumers. LoyalPlatform is the ecosystem from Appsolutely that will spearhead the Loyalty Economy. By using a virtual currency, digital wallet, a series of white-label applications and a coalition of supporting merchants, Appsolutely will change the current loyalty landscape into a value-focused, cryptocurrency-based rewards system that dwarfs traditional rewards programs. LoyalPlatform will help customers be more engaged with companies’ loyalty programs, while acquiring better rewards for their consumption. 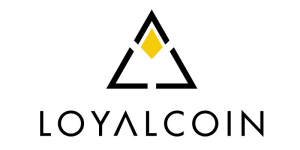 LoyalCoin (LYL) is the token that serves as the official virtual currency of the new Loyalty Economy. The goal is for consumers to be able to earn and spend LYL whenever and wherever they prefer to buy goods and services from any participating merchant within Appsolutely’s Loyalty Economy. This creates an open loyalty ecosystem where the consumer decides where and how they’d like to redeem the rewards they’ve earned. Redefining customer loyalty with these groundbreaking launches and technologies. From November 2017 to January 2018, gaining support for LoyalCoin and lining up international pilot tests for LoyalWallet. LoyalCoin, LoyalWallet, and LoyalCoalition – all rolled out in early 2018. The new loyalty economy begins to take root. In the middle of 2018, setting up additional features such as digital payment integrations and AI for rewards. The world will be ready for our platform – and the revolution in the loyalty economy – over the next two years. LoyalCoin is the customer loyalty-oriented digital asset that is replacing and enhancing the traditional rewards point systems currently have. What are the features of LoyalCoin? Like a traditional rewards point, LoyalCoin can be used to redeem rewards from any participating merchant. That way, your points from one merchant can be redeemed on every other merchant within the system. However, LoyalCoin can also be sent to and received from other people, used as payment for a user’s preferred merchant, and more. Where do I store LoyalCoin? LoyalCoin can be stored in the LoyalWallet, an app that enables the digital asset’s redemption, payment, and more features. LoyalCoin can also be stored in white label apps developing for participating merchants; these apps will carry a few of the features that LoyalWallet has. As LoyalCoin is also a NEM token, it can also be stored in any of the NEM official wallets. How do I get LoyalCoin? Upon the public launch of LoyalCoin and LoyalWallet, users earn LoyalCoin by buying products and services from merchants and shops that issue LoyalCoin, just like the way you earn points at a typical rewards program. In addition, as discussed above, the LoyalWallet allows you to buy more LoyalCoin. In addition, LoyalCoin will be offered prior to the launch of LoyalCoin and LoyalWallet. Will provide more details on this in the succeeding weeks. When will the token generation event start? Will reveal further details of the launch at a later date. Additional information about LoyalCoin will be inserted to the FAQs. Aside from our social media accounts, you can see more information about us on listing websites like this.